Hey everyone. Nicole here. And today I'll be reviewing Dark Cherry Orchid Fragrance Mist by Bodycology. I love the Bodycology Mists in general. And I particularly like this one. The mix of cherry and orchid notes gives the scent a fun, punchy quality. So I'd recommend it primarily for younger women and girls in the spring and summer, especially at night. It's also very inexpensive. So if you're into trying something new, this scent is also a great option. Well that's all for today. I hope you enjoyed this review. Don't forget to follow FragranceX on Facebook, Instagram, Twitter, and Snapchat. And please subscribe to our YouTube channel. 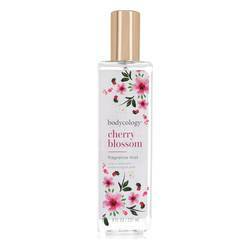 Bodycology Dark Cherry Orchid Perfume by Bodycology All products are original, authentic name brands. We do not sell knockoffs or imitations.